Using wireless with the iPhone hotspot can make some troubles since the hotspot is not all time visible. This seems to be an Apple feature (on the iPad we don't see any problem). Sometime we can solve the problem switching OFF than ON the hotspot from the phone menu. Usando la funzionalità wireless mediante l'hotspot di iPhone si può incorrere in problemi di collegamento in quanto il segnale wireless di iPhone non è visibile. Questo sembra essere una forzatura di Apple (su iPad we non abbiamo questo comportamento). A volte riusciamo a collegarci spingendo e ri-accendendo l'hotspot dal menu del cellulare. Found out changing the hotspot name and removing the ' helped and now the iphone uploads work. 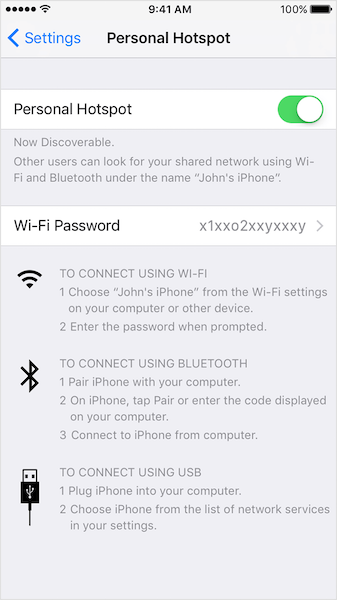 I could not get my iphone hotspot connection to work until I changed the hotspot name to one with only alpha-numeric characters. IOW, I removed all spaces and the apostrophe character and all worked fine. Good! I also removed the default "Simone's iPhone"
Thanks guys, just added to the main topic, good job! Quale e'il nome del tuo hotspot?